Japanese shipping entity Ocean Network Express (ONE) has decided to install scrubbers on up to 10 vessels in early 2020, in a bid to comply with 2020 sulphur cap, the company’s CEO was quoted as saying during an event in Singapore this week. The Port of Oslo plans to build one of the world’s most environmental efficient working boats. The boat will be specially designed for efficient collection of waste at the water surface. Expected to be delivered in December 2019, the boat will be built by Grovfjord Ship Yard. The contract amounts at NOK 23 million. During the last GREEN4SEA Conference, Mr. Christopher Fee, General Manager – Environment and Sustainability, Oldendorff Carriers presented experience feedback from the use of scrubbers so far. Specifically, Mr. Fee attempted to debunk the myth that these systems harm the environment. The Friends of Ocean Action, a coalition of over 50 ocean leaders who seek solutions to the most pressing challenges for the ocean, organized an Ocean Day in Davos, in the beginning of March. 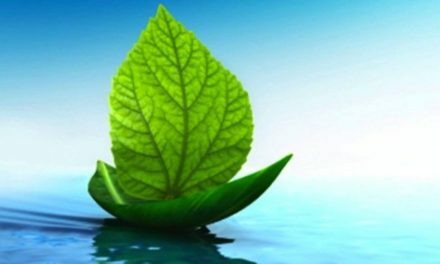 The event touched upon shipping emissions and the possibility of a carbon free future. Scorpio Bulkers announced that it has reached agreements with certain lenders to increase some of the current credit facilities by a total of $41 million to finance the installation of exhaust gas cleaning systems (scrubbers) on certain of its ships. The additional amounts will be drawn upon the installation of the scrubbers on these vessels, and are structured as upsizings of existing credit facilities. The Greater Wellington Regional Council calls the government to endorse the International Convention for the Prevention of Pollution from Ships (MARPOL) in order to regulate to reduce the pollution coming from ships in Wellington Harbour. The Council arguments that tourists attracted to the natural attributes of Te Whanganui-a-Tara (Wellington Harbour) produce emissions as they visit the area with vessels.